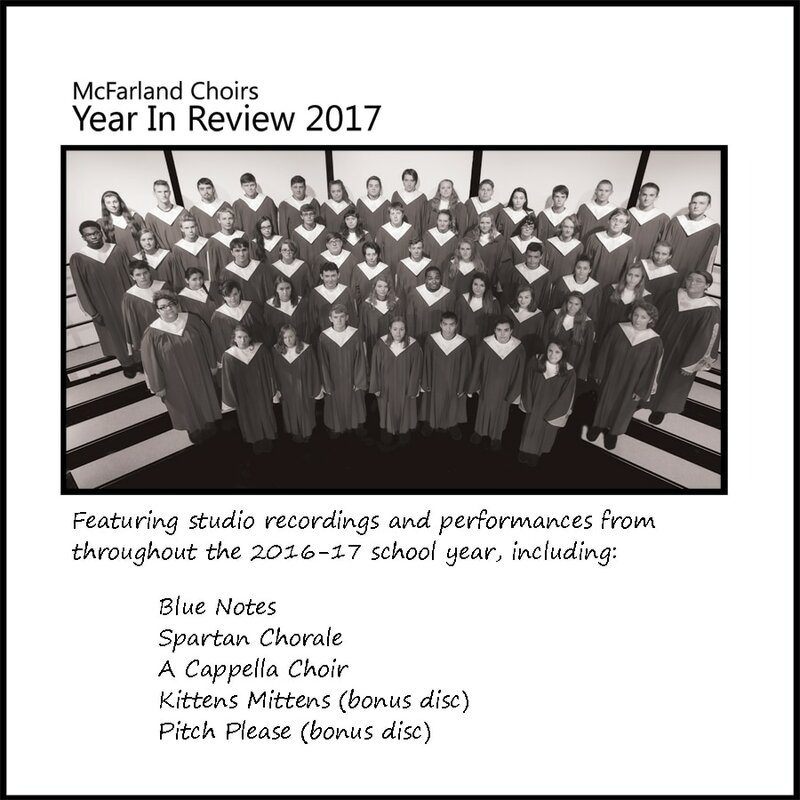 ​This 2-disc CD set features a look back at some of the most memorable performances and recordings from the 2016/2017 school year, featuring all choirs. All tracks are "studio sessions" unless otherwise noted in the track listing. Profit from all CD sales goes directly back to the vocal music department to help provide unique educational opportunities in music to all students involved in the vocal music program. The 2-disc set is available for $15. Please note: Any CDs ordered between June 1 - July 8, 2018, will be shipped the second week of July 2018. 11 - Fy Upon You, fy!